ATP today announced that its Charlotte Flight Training Center opens on May 4 at Concord Regional Airport (KJQF). The new training center will offer single- and multi-engine flight training from Private through ATP, including ATP's Airline Career Pilot Program. "ATP's additional training centers are making high-quality, cost-effective training available to more pilots with greater convenience," said Jim Koziarski, ATP's Vice President of Flight Operations. "Pilots are responding by taking advantage of our temporary low prices to add that multi rating or fly that glass cockpit airplane they've been thinking about for a while." ATP is opening at least 5 new flight training centers in 2009 to make low-cost multi-engine flight training accessible to more pilots, and to hire more CFIs from the Airline Career Pilot Program. San Diego opened in February, and Tampa opens on May 4. Other flight training centers are planned for Indianapolis and Oakland. In 1984 ATP pioneered cost-efficient, accelerated, multi-engine flight training with an emphasis on pilot career development. Today, ATP’s Airline Training Programs prepare graduates for airline pilot and corporate pilot careers with nationwide flight experience in the largest, multi-engine training fleet. Advanced jet training transitions these pilots from light twins to modern regional jets in CRJ-200 flight training devices. With thousands of graduates who have completed airline training on time and on budget, airlines come to ATP first to meet their demand for pilots. 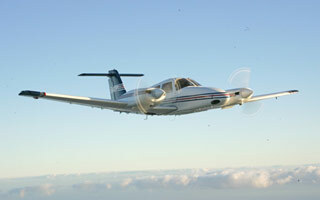 ATP flies over 12,000 hours to provide more than 450 FAA pilot certifications each month at 25 locations nationwide.